Colds ... everyone hates them and most of us get one at least once per year. Despite this being one of the most common sicknesses, most of us really don't understand what it is or even why they are called colds in the first place. Let's take a look and learn some cool facts about colds. Colds are transmitted through droplets of fluid passed from one person to the next. While this can happen from shaking hands or touching an infected object, a sneeze can exceed 100 mph and carry the virus as far as 200 feet away! This extreme distance is because the fluid is often actually contained in an air bubble that allows it to travel for a far distance. However, for most situations the safe distance is approximately six feet to avoid all but the most extreme sneezes. This means that even if you aren't standing next to someone that is sick, it's always important to wash your hands every chance you get. While your nose and mouth are the most common ways that you can become infected - your eyes are also susceptible. Because of this, it's important to remember to not rub your eyes without making sure you've washed your hands first. Despite what your mom might have told you - colds are caused by a virus ... more than 200 different ones actually. The most common ones are called "human rhinovirusses" or HRV and represent 40% of all cold instances. Unfortunately, because there are about 100 different serotypes and it's constantly mutating, a vaccine can't be made. The only solution is simply to be able to recognize signs of a cold and address those symptoms early so you can get rid of it faster. 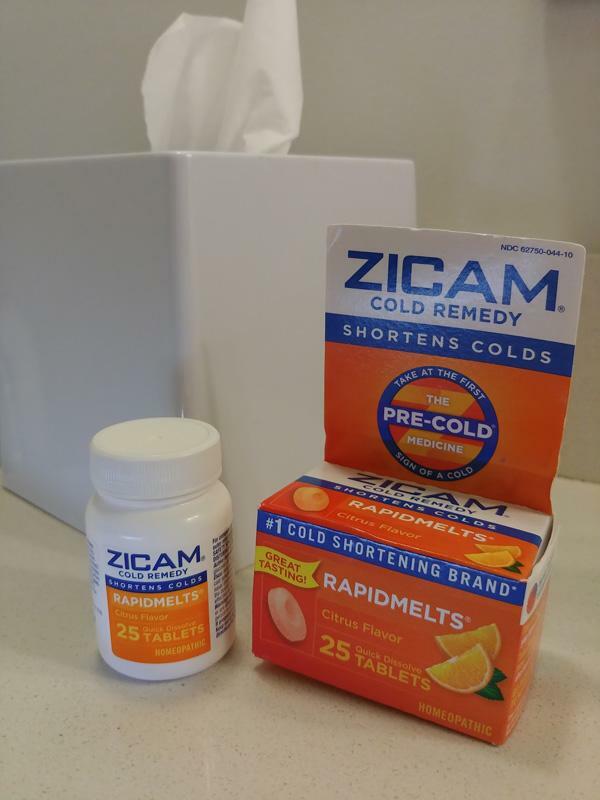 Products such as Zicam® Cold Remedy RapidMelts® can help. It is a homeopathic cold remedy that when taken at the first sign of a cold (sniffling, sneezing and/or coughing) can reduce it's duration. Each bottle includes three flavors: Citrus, Cherry, and Lemon-Lime with Echnacea. It's non-drowsy and non-habit forming, but melts easily in your mouth. It also doesn't taste bad either, so I was pretty impressed with that too. Colds have nothing directly to do with temperature, it's caused by a virus. Why is a Cold Called a Cold? Traditionally, it was thought that you can catch a cold simply by being cold and exposed to rain and winter conditions. While some cold viruses are seasonal, a cold can be caught any time of year. However, you body can have worse symptoms when it is already weak due to environmental stresses such as harsh temperatures. Additionally, during the cold winter months there's a higher likelihood that you can spread the virus since people are huddled together inside where it's easier to transmit the virus from person to person. That's why there seems to be a correlation but cold weather is absolutely not the cause of a cold. 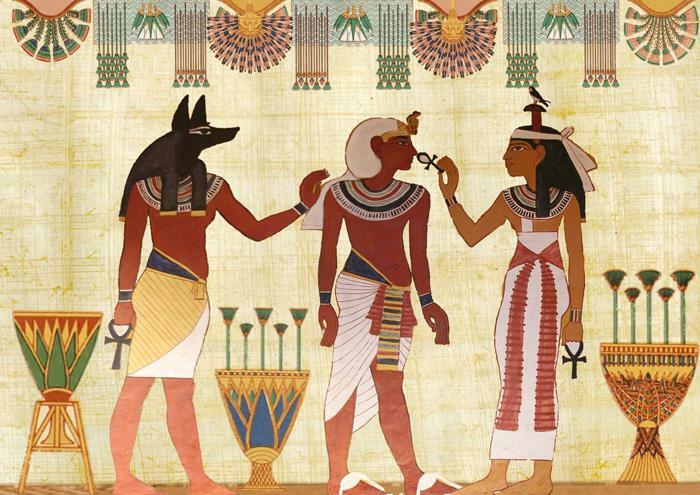 The earliest known records of colds affecting humans and possible treatments were found on the Embers Papyrus, dating to 1550 BCE! The cures were a mixture of scientific medicine and magic spells calling on supernatural powers for help. Ancient Romans Also Had Colds Too! The Roman philosopher, Pliny proposed in the first century that people should kiss a mouse's hair muzzle as a cure for the cold. For the most part, when you get a cold - the symptoms are actually your body fighting the invasion. It's not the cold itself that makes you feel bad. Cold symptoms including scratchy throat, dripping nose etc. are your body's immune system fighting back. Unfortunately, this causes headaches, difficulty breathing, and other symptoms that make you feel miserable. Despite the fact that the cold virus is transmitted by fluids, kissing is relatively safe since bacteria in your mouth are hostile to the virus. However, you can still inhale the virus through your mouth, so don't try anything wild! 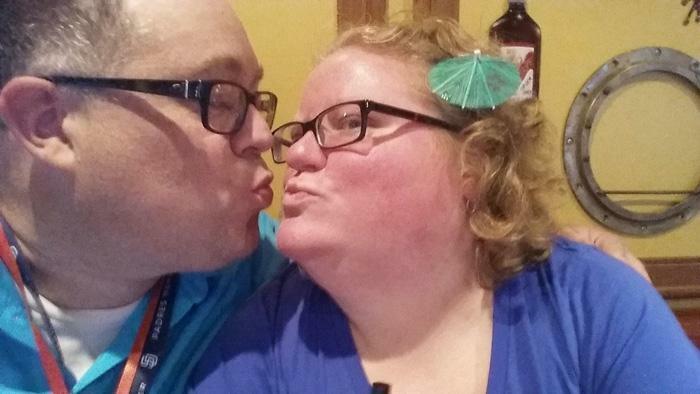 It's probably ok to give your partner a kiss goodnight though. Most of the common cold viruses can survive outside the body for up to 48 hours. That includes your skin as well as touchable surfaces like elevator buttons, cell phones, TV remotes, light switches, sink handles, door knobs and kitchen counters. That's why it's important to not just wash your own hands ... but use santizing wipes to clean other surfaces in your home too. Not only will cold virus droplets carry further in lower humidity, but dry air causes the mucus linings on your nasal passages to thin. This makes the it easier for the virus to infect you. The simple truth is that the more people you engage with, the more likely it is that you will catch a cold. For most of us, avoiding all human contact isn't an option ... and it wouldn't be fun anyhow. Plus, who wants to miss all those fun winter moments with friends? That's why I carry Zicam® with me when I travel. Even just this past weekend, I had it with me because attending a tradeshow in Vegas is a great environment to catch a cold. Luckily I survived! 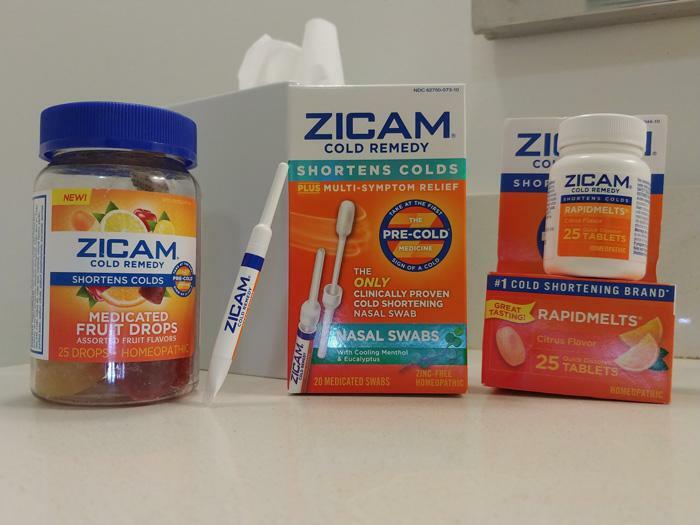 Zicam® is available as Medicated Fruit Drops and Nasal Swabs as well. My prefered choice though is the Zicam® RapidMelts® since they are easy to pack and easy to take. Zicam can be found at most major food, drug, and mass merchandise retailers, or you can find a specific location through their website.